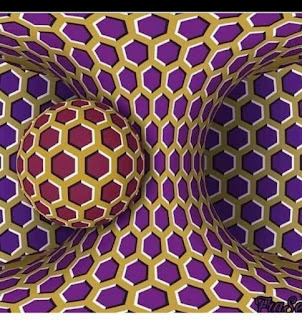 Our brain is tricking up and making it seem like the ball is moving and so is the column behind it. This is just another optical illusion. This is an example of Miore Effect. Our eyes and brain are tricking us by sending signals to the eyes to have rapid movement to make the picture look like its moving. Our eyes are trying to process the picture through movement which creates the illusion. 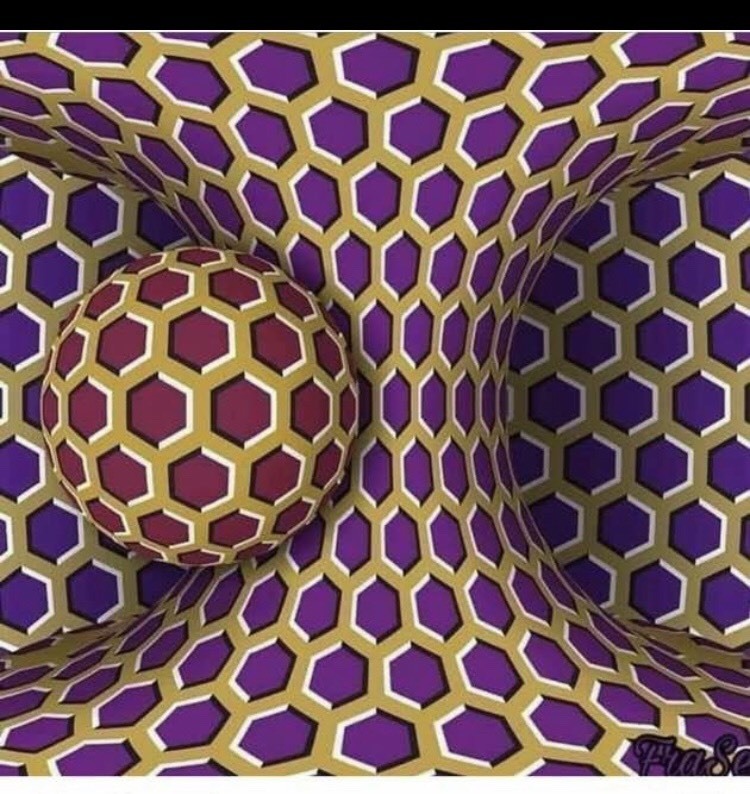 Another interesting fact about this particular picture- when I found it, it came with an explanation that apparently how quickly you see the ball moving will determine how stressed you are. Concepts: The Miore Effect- based on relative size,c color, angle and spacing our eye movement tricks our brain into thinking a still picture is moving. This is caused by a signal from the brain to our eyes to produce rapid eye movement. Assumptions: Our brain is assuming that the picture is moving. Based on previous knowledge we know that a still picture can not actually move but our brain automatically sends these signals to our eyes and seeing is believing.